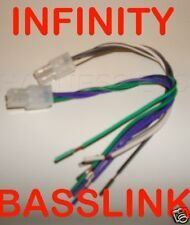 Up for sale is 2 speaker level input plugs for the Infinity Basslink and BassLink II. BASSLINK II. Two 4 pin plugs, 1 for front speaker input and the other for rear speaker input. These plugs enable you to tap in to the factory speaker lines so you do not have to convert and use RCA jacks. Retains OnStar® system functionality and the Bose factory-installed amplifier (if present) when the factory radio is replaced in a 29-bit GMLAN vehicle. Retains OnStar® when the factory radio is replaced. We are committed to providing you a quality product at the lowest prices possible. • Warranty service will be refused if serial number of unit does not match that of serial number sold by us. • We strongly encourage professional installation of any electronic devices. Direct flash from iOS and Android smart phones with future PAC-UP2 Programming Tool (Avail. Download the Programming APP for Android, iPhone, or Windows. 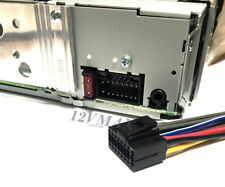 Provides 2 Amp, 12V ACC output (CAN applications)App Features. ). 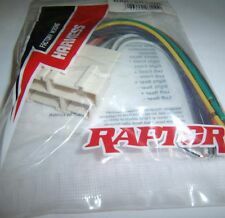 OEM Reverse Wiring Harness. Harness is designed to plug in the factory radio. Antenna/Amp Turn On. Onstar Voice Signal. 14 WAY CONNECTOR. Right Front Speaker ( ). 16 WAY CONNECTOR. Right Front Speaker (-). A very valuable tool for adding a sub to your vehicle’s Bose Stereo. No need to risk cutting or tapping into your car's sensitive wiring. Simply plug our harness in-line with the black plug on your vehicle's Bose Amp (diagonal fins). Insignia Grand Sport 2017-up. Volt 2017-up. Insignia 2013-2017. OPEL VAUXHALL (2). Ute 2017-up. Trax 2017-up. Trailblazer 2017-up. Spark 2017-up. Chevy Corvette 97-04. USB Updatable. Retains door woofers. This is the Antenna Adapter you will need to replace the Factory Radio in most Chrysler Dodge Jeep vehicles 02 Up and Select GM Vehicles 06 Up. 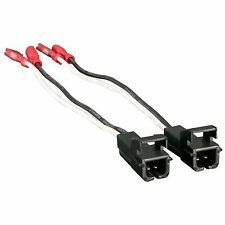 CR-6 Antenna Adapter 40CR-10 Jeep Chrysler Dodge. Ascender 2003-2008. These vehicles have a digital amp option. If Y91 is present then the vehicle is equipped with a digital amplifier. IfUQA is present then the vehicle is equipped with a digital amplifier.